The article in Joongang mentioned that the restaurant has been opened since March! Anyway...this is a really good news, yeah? If only the restaurant's location is near the Nami Island's entrance then it would be better for us. The article from Jungang Ilbo is here (in Korean) and here (in English) citing on the existence of Halal Dakgalbi - Nami Ok restaurant at Gapyeong-gun which is near to Nami Island. 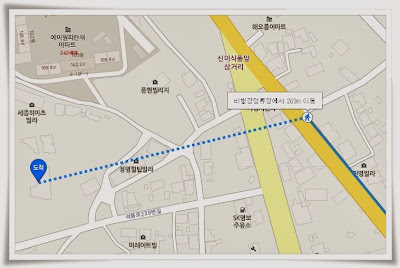 A personal Naver blog (in Korean) also mentioned about Nami Ok restaurant and you may read it here. 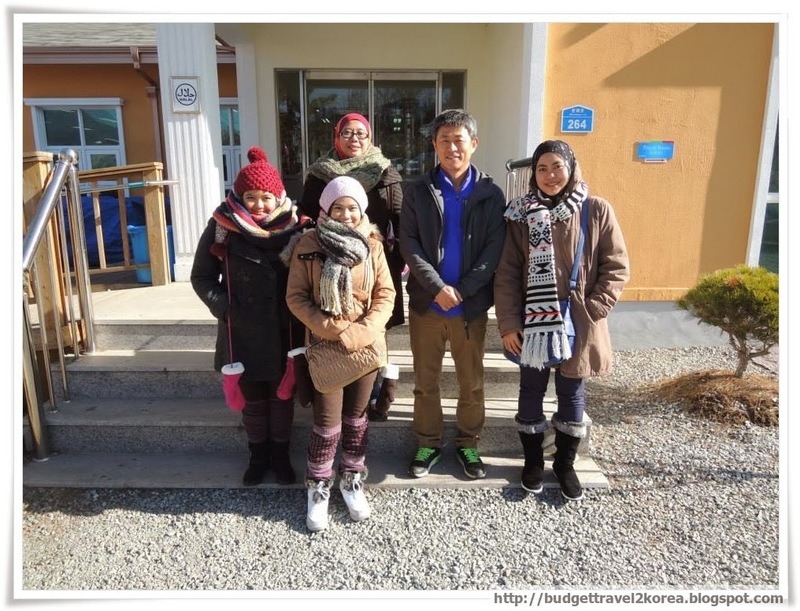 With Mr Hong Yeong Man (the owner) and Puan Raihana's family. Warning: I have waited 2 hours to get my lunch when I came at 12 noon on a working day. Pfffttt...I should have called before I go to book a seat. You should call and book if you come from 12 noon to 2 pm. Otherwise come before 12 noon or after 2 pm. 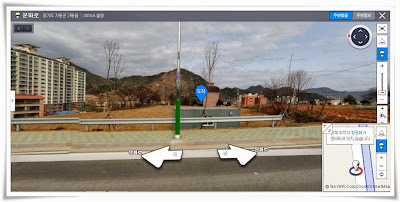 From Gapyeong Station to Nami-Ok restaurant will be about 5 km so most probably the taxi fare will be double of the price to Nami Island. (Yup...true, been there done that and 6,000 won was the taxi fare when I went there personally). But...if you still have to go alone and walk your way to save the taxi fare, check out the map below. for about 686 meters. Take the bus number 1330-3. Anyway....I just wish I could try this Dakgalbi to review the taste, the service, the price and etc but I just can't as I'm now living in Madrid. Ack! 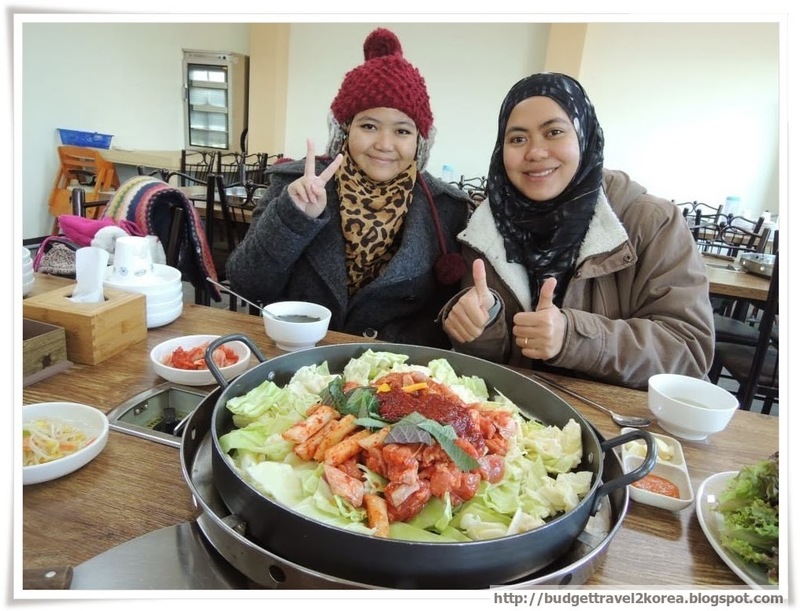 Halal Dakgalbi is 12,000 won per pax but non-Halal is 10,000 won per pax. If you like it spicy, ask for 2 more scoop of the spicy sauce. I did for my first visit and opted for no additional sauce on my second visit and my verdict: adding more spiciness rocked the wok baby! lol..Okay, well....I love spicy stuff so I am a bit bias there. More pictures on my Facebook on https://www.facebook.com/budgettravel2korea.